The Arlee football team and family members eat breakfast before a game. Sarah Schurg serves a customer a huckleberry milkshake for breakfast. 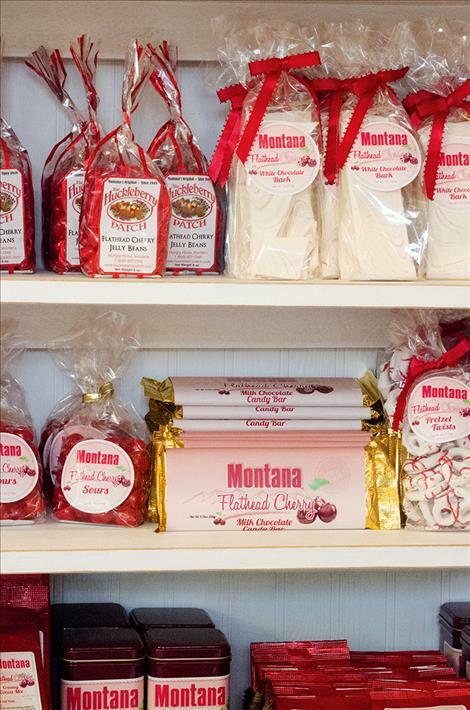 Many different items from signs to candy are sold in the shop and most of them are made in Montana or in the United States. POLSON – Those waiting for a new ice cream shop to open got their wish recently when Scoops Ice Cream Shack opened July 4. 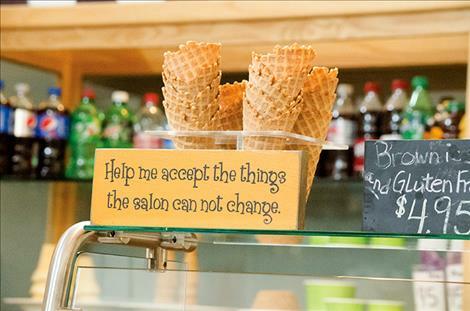 The business offers 24 flavors including sherbet and sorbet, which are low dairy and non-dairy frozen treats. One rather unique thing about the shop is the cones, which come in five varieties: waffle, sugar, cake, pretzel and Oreo cookie. 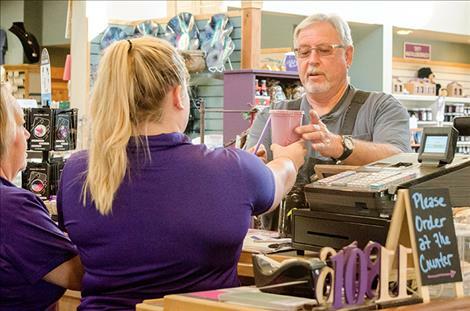 The shop recently switched to its off-season hours, which are 3-8 p.m. Monday through Saturday. Store co-owner Sheila Cox said the business will stay open through the fall and winter as long of folks continue to buy ice cream. Sheila and her husband Dan moved to the area 3 1/2 years ago from Hamilton and started Cherries BBQ Pit. It was a life change for both of them as Dan had owned an Internet business and Sheila worked previously for a temp agency. She noted that the couple decided to open an ice cream shop when they bought the parcel of land where their barbecue is located: 203 Second Ave. E.
“We thought it would be a nice addition to the town,” she said. 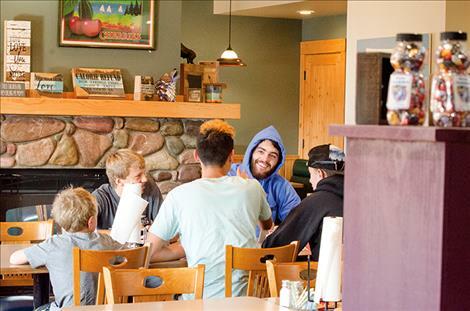 ARLEE – After a year in business, The Huckleberry Patch has become a regular stop for many people including the Arlee football team. On Friday, the team filled several tables in the dining area. They’ve made it a routine to stop in for breakfast the morning before a game. 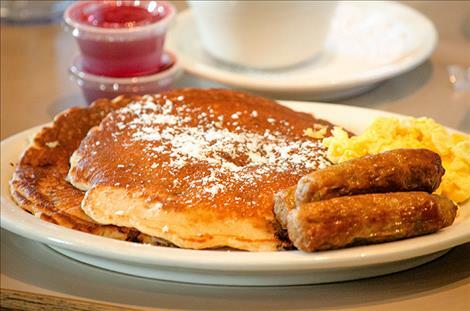 Huckleberry pancakes are a favorite for many team members. Sarah Schurg works the front counter. She says people also really like the huckleberry milkshakes. One customer came in and ordered one for breakfast on his way to work. Fresh huckleberries are kept in the kitchen and used in several menu items like the pancakes. 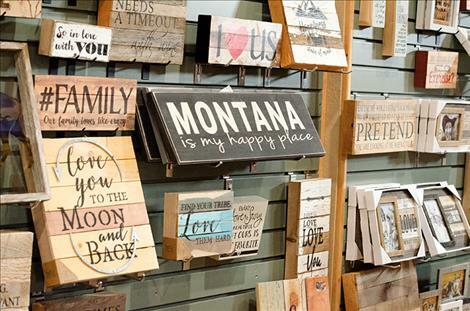 “We buy them from local pickers,” said Leah Allestead, gift store manager. 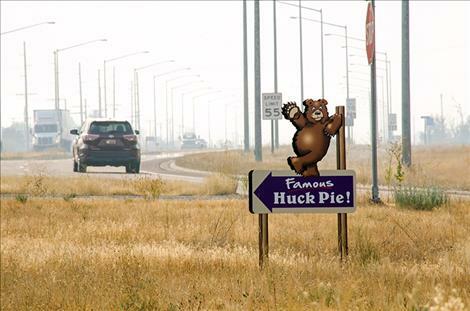 A majority of the huckleberries are sent to the second Huckleberry Patch store in Hungry Horse where they are canned and sent back to use as pie filling. 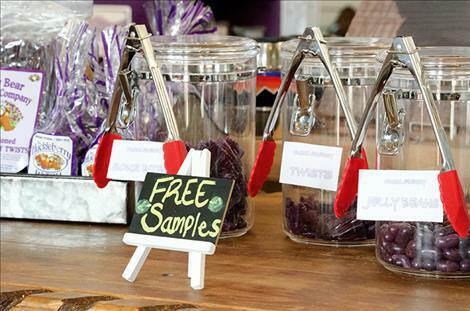 Laura Curtis makes fresh huckleberry pies every week. She usually makes 90 pies, but ran out of pie filling this week so she could only make 15, and the shop ran out of pie. Curtis says the process for making the pies is pretty simple. She makes the pie dough, rolls it out, puts it in a pie pan, and then she adds about a pound of huckleberries. “I put a hole in the middle and freeze it,” she said. The pies are baked fresh each day. She also runs the Black Bear Espresso shop within the Huckleberry Patch where people can order coffee or other menu items and get them to go through the drive up window. She said one of her popular coffee drinks is the Angry Bear with double the shots of espresso, dark chocolate, hazelnut or toffee and a little huckleberry. 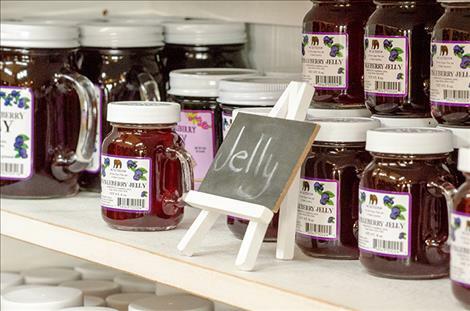 The shop is also full of huckleberry items from different distributors including candy, syrup, honey and salsa. 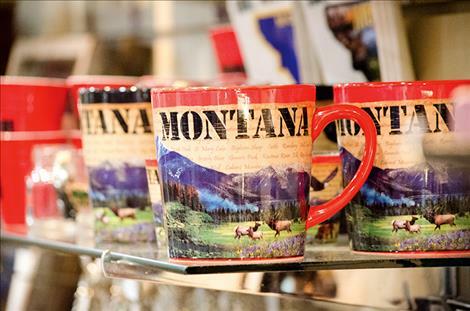 Montana-style souvenirs are another popular item, especially with the tourists, she said. 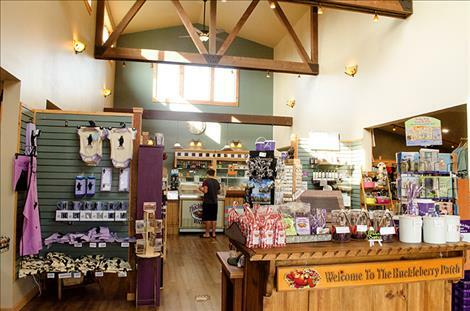 The gift shop is on one side of the building and the dining area is on the other. The shelves are full of signs, jewelry, clothes, toys, picture frames, and other items. The dining menu has everything from hamburgers to fry-bread tacos. “We have homemade fry-bread on Tuesdays,” she said. 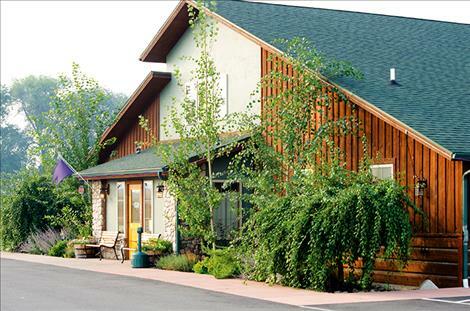 Prior to a remodel and subsequent opening of the Huckleberry Patch, the building sat empty for seven years. “We had lots of scrubbing and cleaning to do before it opened,” Allestead said. The business provides jobs for local people including high school students. 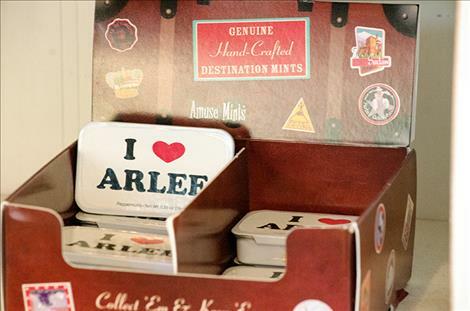 “It’s important to keep Arlee going,” she said. U.S. Highway 93 divided town a few years ago creating a couplet that split north and southbound traffic. The business is located on the south side of town, right where the highway splits. She said the central location made it easier for people traveling on both sides of the highway to see the business when other downtown businesses only get traffic northbound traffic. “Arlee has had a bit of a struggle since the highway was spilt. It’s good we have this place to provide jobs,” she said before heading off to bring out large plates of pancakes to football players.